What kind of hero is James Hicks? What has surprised you about him as he has come to life across three novels? I’d classify Hicks as an anti-hero. He serves The University’s agenda, which is to protect Western interests at all costs. He’s not the type who’ll hold a gun on an enemy, only to pull it away at the last second just because he’s softened up. James Hicks takes the world as it is and reacts accordingly. In RAVENS, Hicks experiences a great deal of loss and the novel, in large part, discusses his response to that loss all while trying to seek revenge on those who took things from him. One of the intriguing things about your latest novel is that your characters’ motivations aren’t always clear and that James Hicks is fighting an unknown enemy. It feels like there’s a lot for the reader to figure out in CONSPIRACY OF RAVENS. How did it come about with this novel? Hicks’ motivations are always clear to the reader, but his reasons aren’t. For example, he’s being hunted by the American intelligence community and he sees them as the enemy even though they’re on the same side. He doesn’t treat them as harshly as he does a terrorist or a foreign organization, but they’re every bit as dangerous to The University as a clear enemy. He fights them differently, but fights them all the same in order to protect The University’s mission. He knows what he’s up against while his enemies don’t. That’s where the ambiguity comes in. Several of your reviews credit the hard work you do to ensure your characters and plots are based in reality. Please share, to the level you’re comfortable, your views on the importance of research and how you go about it. I think writers can fall into a trap when it comes to research. They can acquire analysis paralysis and that’s bad for the artist, the art and the reader. I created my own organization – The University – because I didn’t want to spend a couple of years researching an existing intelligence agency. I created my own technology based on what has been leaked in the press because it gave me more room to tell my story. I used it to my advantage without getting too caught up in the minutiae. While I don’t want to overlook CONSPIRACY OF RAVENS, what do your fans have to look forward to in your next book? Can you give us a little insight? The next book, due out next year is The Fairfax Incident. It’s a sequel to Slow Burn, which was set in 1930s New York City and features corrupt NYPD detective Charlie Doherty. I’m also working on the next James Hicks novel called The Moscow Protocol. It appears several authors have influenced your writing. Is there one that stands out above the others? Why? James Clavell’s Tai Pan influenced me because it had all the aspects of the kind of book one would hope to have—action, intrigue, vivid characters and a killer setting. I loved reading the novel and seeing how he used it to make the characters come alive. It made me want to try my hand at the craft. Considering the importance of good character development in any story, what’s one thing about you people would be surprised to learn? I sit back and listen a lot because I’ve found that no one ever learned anything by talking. I listen to the way people speak and what they speak about. It helps keep my writing fresh and topical. I’ve also been told that I have a better sense of humor than people expect me to have, which is nice. My late mentor Wesley Gibson advised his students to be careful about discussing their writing. He said writing is one of the most intimate things you will ever do. You’re taking the one aspect of your being that separates you from all the other beings on the planet – your imagination – and putting it on display for the whole world to see. He said that takes a fair amount of courage and needs to be nurtured, especially in its early stages. Any final thoughts or last comments on being a mystery/thriller writer that you’d like to share? You wouldn’t think a genre that features the darkest aspects of human nature would be such a welcoming genre, but it is. Publishing is a tough business, but our community makes it a bit easier to take. I’m proud to be part of it. 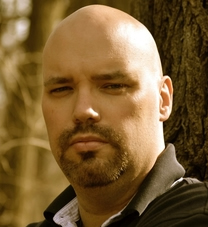 Terrence P. McCauley is an award-winning writer of crime fiction and thrillers. The third novel in his University Series – A CONSPIRACY OF RAVENS – was published by Polis Books in September 2017. The other novels in the series, Sympathy for the Devil and A Murder of Crows were also published by Polis Books. 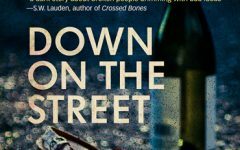 Terrence has also written two award-winning novels set in 1930 New York City – Prohibition and Slow Burn. In 2016, Down and Out Books also published Terrence’s World War I novella – The Devil Dogs of Belleau Wood. Proceeds from sales go directly to benefit the Semper Fi Fund. Terrence’s short story ‘El Cambalache‘ has been nominated for Best Short Story in the ITW’s annual Thriller Awards. 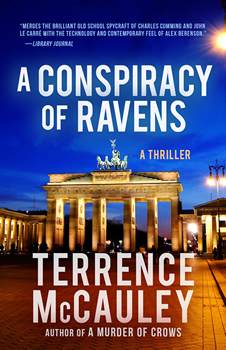 Learn more about Terrence McCauley and A CONSPIRACY OF RAVENS on his website.